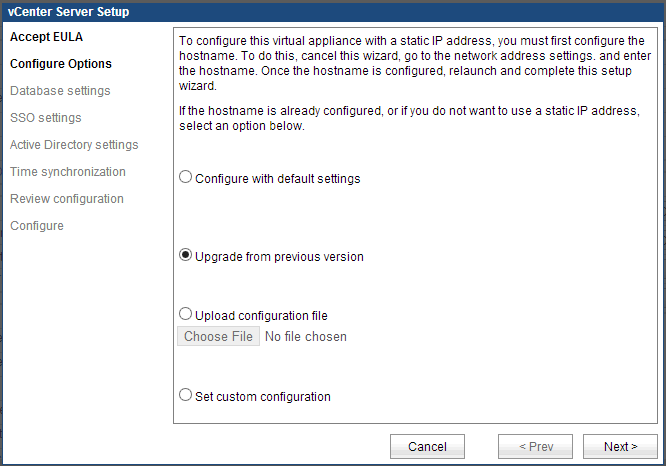 First thing is first, we want to update our vCSA 5.1 appliance to the latest build of 5.1. At this point, we are ready to start the upgrade process from 5.1 to 5.5. It should be noted that this is not an “upgrade” but actually an install and reconfigure. What I mean is that we are actually deploying a new appliance, and the upgrade process automates moving the database, and settings over to the new appliance – including networking settings. 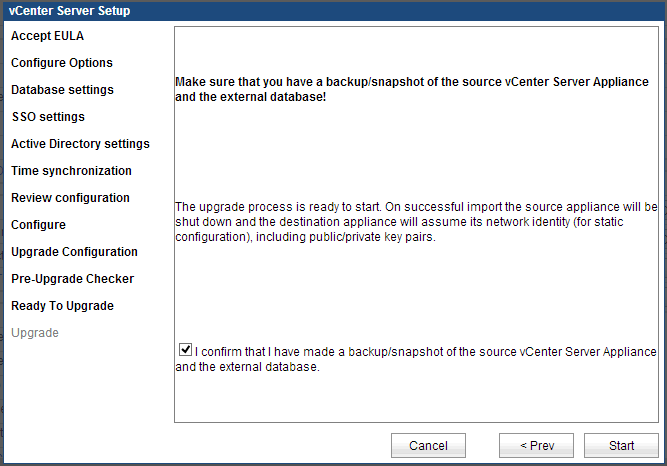 So, in the end, our new 5.5 vCSA will be powered on with all our data, and the old 5.1 vCSA will be powered off, ready to be deleted. First, we will deploy the OVA file. 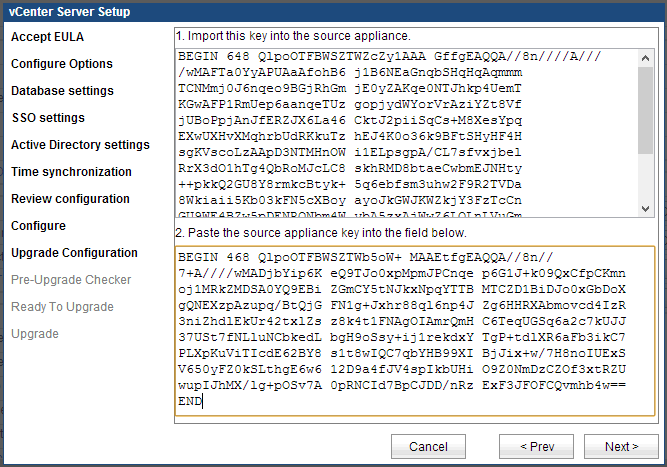 I won’t go over deploying the OVF template, since it’s a fairly easy process. 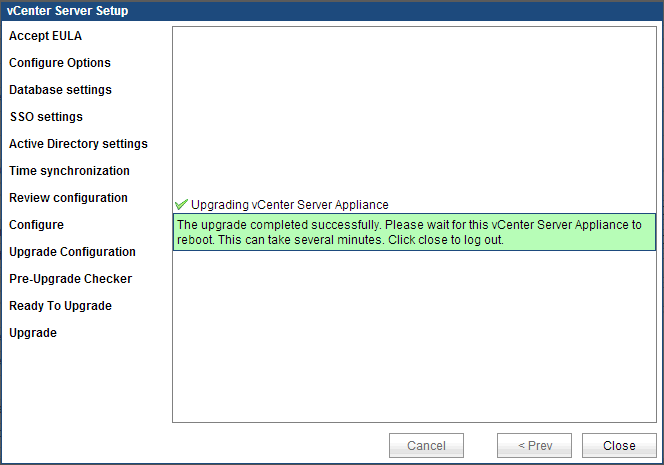 The vCenter Server Setup Wizard will start – Select “Upgrade from previous version” and choose next. At this point, we need to exchange keys between the 2 appliances. 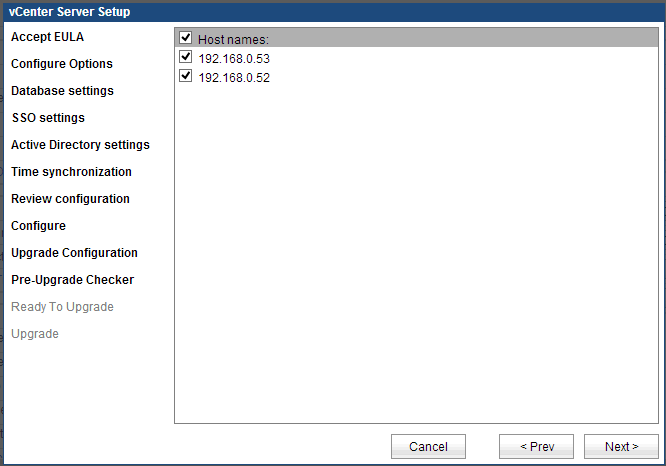 On the next screen, we choose what hosts will be managed by the new appliance. 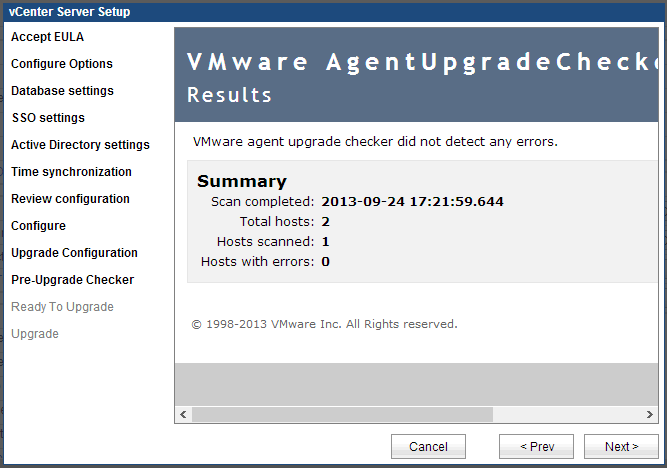 Select all the hosts to start the upgrade checker. The following screen will report on any host problems that may be preventing an upgrade. At this point, we are ready to start the upgrade. 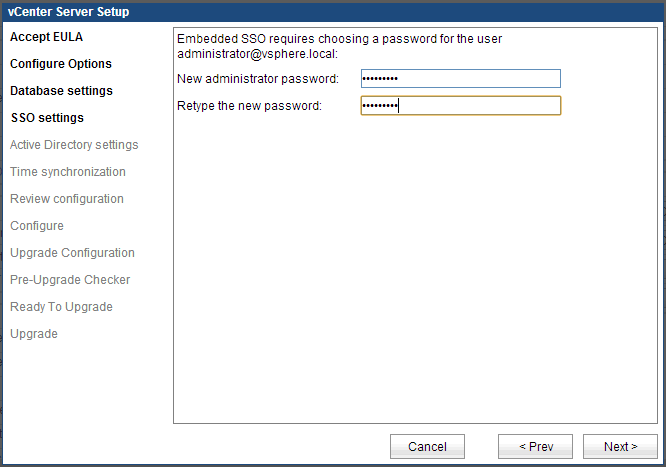 Make sure to take a SNAPSHOT of the current vCSA 5.1 server. 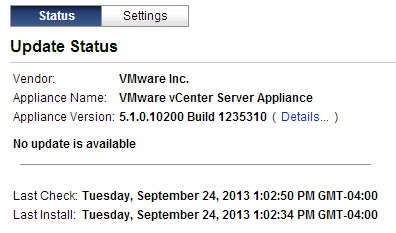 If for some reason the upgrade does not complete, both vCSA appliances will be in an unusable state. Reverting back to the snapshot will be the recovery method should that happen. Check the box to confirm that you have taken a snapshot, and click start. The server proceeds with the upgrade, and gives no additional feedback until complete. Once completed, the wizard will display the successful message. 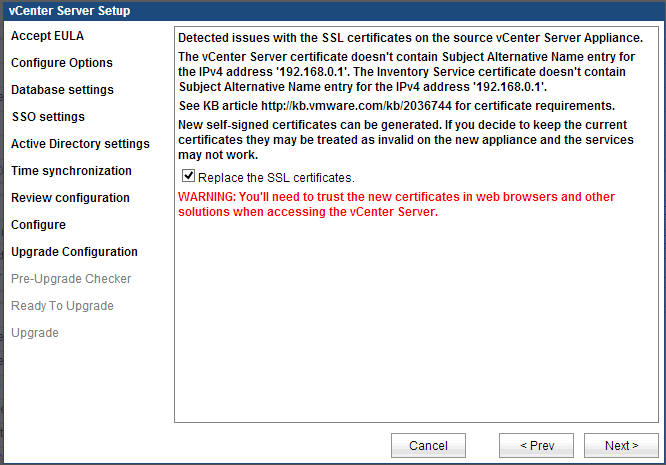 The 5.1 vCSA appliance will shutdown, and the new 5.5 vCSA will reboot, and be configured with the same IP address, and all data. It may take a longer time for all the services to start for the first time on the new appliance.